Allergies are in full swing, but that doesn't mean you can't make the call for more complete allergy symptom relief. * Knock your allergies out of the park and make this season a greater one with FLONASE. 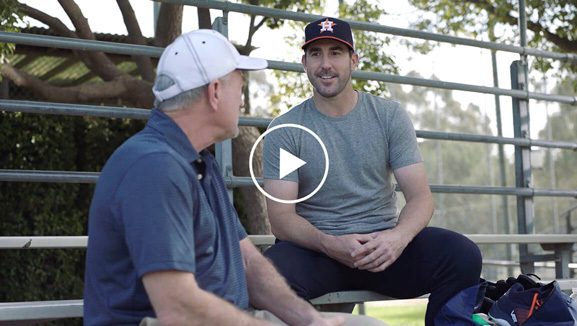 JUSTIN VERLANDER + FLONASE: READY FOR THE GREATEST SEASON EVER! FLONASE HELPS BLOCK 6 KEY SUBSTANCES. ALLERGY PILLS ONLY BLOCK 1**. Make the switch to FLONASE and be greater than your allergies. **Mechanism vs. most OTC allergy pills. FLONASE acts on multiple inflammatory substance (histamine, prostaglandins, cytokines, tryptases, chemokines, and leukotrienes. The exact number and precise mechanism are unknown.